One of the most common types of malpractice cases comes out of a doctor or nurse not doing something that they should have done. A failure to do something can, and often will, be negligence, because harm to the patient flows from the lack of treatment. 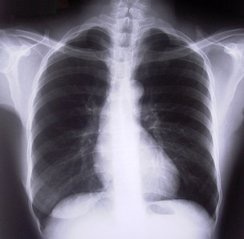 A failure to diagnose or report a suspicious mass on an x-ray may result in cancer going untreated. Failure to order tests after giving a new medication may result in a complication going undiagnosed and untreated for a long period of time. 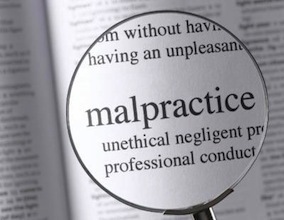 The most common form of this type of malpractice is the failure to diagnose a condition. When signs and symptoms should lead to certain tests being ordered, and they aren’t, conditions can go undiagnosed with devastating consequences. Or the proper tests can be run, but the doctor fails to appreciate the significance of the test results. If you believe that a doctor has failed to act, and question whether you may have a malpractice case, contact us to discuss. Prosecuting a medical malpractice case is expensive. Very expensive. In order to bring a case to trial, tens of thousands of dollars will be spent on medical records, advanced medical research, medical record review, expert witnesses, depositions, trial exhibits and a hundred other things. A typical “simple” medical malpractice case is more expensive and more complex than almost any other type of personal injury claim. A “simple” medical malpractice case can cost $40,000, $50,000 or more to bring to trial. And that isn’t including attorney’s fees for the patient. In order to bring a case, it must be economically viable. That means, the ultimate value of the case, when weighed against the cost to bring the case, and the hundreds, and sometimes thousands, of hours spent by the attorney in prosecuting the case, must weigh in favor of pursuing the case. In order to justify the substantial expense, and risk, associated with bringing a malpractice case, an attorney must weigh the strength of the case, meaning how clear the malpractice is, against the cost to pursue the case and the ultimate potential recovery. It makes no sense to bring a case where the attorney’s contingent fee and expense refund take up all or most of the potential recovery. The bottom line must be whether or not the client is going to recover enough money to justify the time, expense and emotional cost associated with prosecuting a medical malpractice claim. That calculus will vary from attorney to attorney based on many factors, but it will be a consideration in deciding whether to pursue a claim or not. The bottom line is, there really is no such thing as a “simple” medical malpractice claim. That is why your choice of attorney is so important. If you believe you have a medical malpractice claim, please contact us at Hendrickson Law. Medical Malpractice. You hear the term all the time. But what does it really mean? Is it simply bad medical care? Is it a bad medical outcome? Or is it something else? Like any legal claim for negligence, a malpractice case is made up of certain elements–the things that must be present in order to legally be deemed negligence. All negligence actions require three basic elements: Duty, Breach, and Harm. What are the elements of a medical malpractice claims? Standard of care simply means that the doctor (or nurse or technician) is required to provide treatment in the manner generally expected by their profession. A nurse isn’t held to a doctor’s standard of care, and a doctor isn’t held to a nurse’s standard of care. The applicable standard of care may be very clear in some cases, or it may be a point of argument among experts. But generally speaking, any medical professional is expected to do what a well trained and qualified equivalent professional would do, or, in some cases, not do. BREACH A breach of the standard of care is the failure to do something that should have been done, or doing something that shouldn’t have been done. An example of the former would be a failure to diagnose and treat an obvious injury or condition. An example of the latter would be operating on the wrong body part. HARM Harm is a difficult concept in medical malpractice. In almost every case, the patient is coming in with a condition, injury or disease and the patient is seeking treatment for that condition, injury or disease. 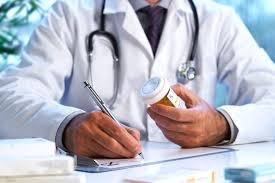 Harm, in the context of a medical malpractice claim, only occurs if the ultimate outcome of the condition, injury or disease is made worse, or altered, by the medical care provided or not provided. An example may help clarify things. If you come into the emergency room with a broken arm and the doctor or nurse is negligent (malpractice), the harm is not the broken arm. There is only harm if the broken arm is made worse by the care, or lack of care. For example, if the broken arm should heal when proper treatment is given, and the arm doesn’t heal, that is the harm caused by the malpractice. A drastic example of this would be a broken arm that isn’t diagnosed and isn’t set, and an infection occurs leading to an amputation. In that instance, the amputation is the “harm” caused by the malpractice. If you believe you or a loved one has been the victim of medical malpractice contact our office. Reinsurance Changes: Reinsurers, large companies who buy packages of insurance risk, have reduced their holdings in property insurance following Hurricane Katrina and are purchasing more malpractice risk packages, driving down the cost of reinsuring. Reduced Frequency of Claims: The number of claims per bed for hospitals and the number of claims per doctor has dropped significantly in recent years. No reason is listed, but it would appear to be the result of better managing risk, as described below. Reaping Rewards of Previous Years: This is my favorite! In recent years the insurers have hike premiums, dropped physicians and generally caused havoc. Now, as a result of a reduced frequency of claims, they are “reaping the rewards.” In other words, they are now seeing the profits from those years of sky high premiums that they were claiming they needed to keep from going broke! 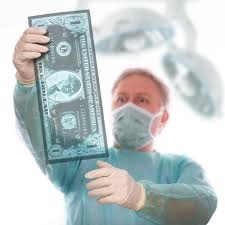 As a result of years of gouging hospitals and doctors, insurers are reaping record profits! Companies Have Money to Spare: Obviously, the insurance companies don’t want their customers and the public to know this, but it is there in black and white and it is a direct quote: “With clean books of business, robust premiums and a favorable claims environment, there is a great deal of room for companies to be aggressive and lower rates.” Here we go again … the same cycle we’ve seen for years. The insurance companies cry wolf, raise rates and drop coverage claiming that the lawyers are driving doctors out of business, then the companies suddenly have “money to spare,” begin cutting rates, insuring doctors who shouldn’t be practicing and then the cycle will repeat, ad nauseum. Healthcare Delivery System is Better at Preventing Claims: This is the first thing that is actually good news for patients. In light of the skyrocketing premiums over the past few years, hospitals and doctors have worked to reduce mistakes, and they’ve been successful to some extent in doing this. Every attorney welcomes this. The Trial Bar Cannot Afford to Bring Cases that Have Little or No Settlement Value: This is the industry’s only attempt to indirectly link their improved fiscal position with tort reform, and it is simply a fantasy. Those of us who specialize in Medical Malpractice have never taken marginal cases. We have never been able to spend money to investigate claims without merit. What does happen, as Mr. Dyer recognizes, is that attorneys who don’t concentrate in medical negligence cases can, and often do, prosecute cases where liability is not clear. They then often lose those cases and the health care industry rolls out the term “frivolous” to describe the suit. A loss does not mean frivolous. It just means that the attorney wasn’t able to prove the case. What does this mean to patients? Probably not much. Hopefully, doctors and hospitals will continue to implement practice modifications that will “prevent claims.” Hopefully, the insurers will stay off the roller coaster of raising and lowering premiums so that doctors and hospitals can better predict these costs, but that probably won’t happen. Hopefully, the next time reinsurance costs go up because the reinsurers have found a better place to park their money, the insures won’t scream “tort reform” and try to take away the rights of the very patients who are injured by doctor’s and hospital’s negligence, but that probably won’t happen either. Maybe, just maybe, someone will pull this article from Medical Liability Monitor and waive it in the face of the insurance industry and cut off the argument. Maybe … but don’t hold your breath.In the mean time, trial attorneys will keep protecting the victims of medical negligence and dangerous products. Accidents involving semi-trucks, 18 wheelers and commercial trucks present many unique challenges when they cause injury or death to other drivers. Because of their size and the speeds involved, such accidents can often cause severe injuries. Trucking accidents can be the result of speed, inattention, or lack of sufficient rest by the driver. Over the road drivers must follow strict regulations as to time driven and rest breaks. A driver who is not following these regulations may create a danger for himself and others. If you have been involved in an accident involving a truck, it is important that you contact an attorney immediately. It is vital that evidence be retained and obtained. Your attorney may need to obtain information from the truck’s “black box,” an accident reconstruction may need to be performed, the scene of the accident must be documented before important evidence such as skid marks, debris and damage is lost. Trucking accidents may be caused by equipment malfunction or failure on the truck, such as brake or tire failure. These things must be investigated as soon as possible and the evidence maintained. If you have been involved in a trucking accident, please call Todd N. Hendrickson, immediately. Todd N. Hendrickson practices law throughout Missouri and Illinois and can discuss any potential claim you may have. If you suspect you or a loved one may be the victim of medical negligence (medical malpractice) you should begin to make note of people involved in the care. In a hospital setting, you should note the names of doctors, nurses and technicians who are caring for the patient. If any type of surgically implanted device is removed as a result of treatment, you should request that the item be retained and turned over to you. You should make that request in writing, to the surgeon involved and to the hospital or surgical center. If you are refused, ask to receive a written reason for the refusal. If you are suspicious of medical malpractice, you should obtain second opinions or consults regarding the care and, if at all possible, from a physician unaffiliated with the hospital or doctors whom you suspect have been negligent. There are several reasons for this: First, “independent” consulting physicians will tend to document their true findings and conclusions, even if they don’t want to be a witness against another doctor or hospital, if for no other reason than to establish that they have not been negligent in their care. Second, sometimes a second opinion can cause a shift in treatment which can mitigate or eliminate problems arising from the initial negligence. Although this is not beneficial to a subsequent medical malpractice legal action, if it results in an improved result for the patient, that is the primary consideration. Third, a consultant will provide independent documentation of findings which cannot be altered or amended by a negligent party. Finally, if you suspect you are the victim of medical malpractice, you should consult with an experienced, qualified attorney as soon as possible. Experience in handling medical malpractice claims is a must. The lawyer you choose should spend the majority of his or her time handling medical malpractice claims and should have done so for many years. You should also consider whether the attorney you choose will handle the case himself or delegate important aspects of your case to less experienced attorneys or associates. It is vitally important that the attorney who will handle the trial of the case also handle the preparation of the case.